110 minutes. When it comes to Solo, I keep getting stuck on that number and wondering how that running time would have impacted the second standalone "Star Wars Story." It’s difficult for me to veer away from the notion that it could have benefited a film that stumbled in spots. It's arbitrary, but it has to do with the fact that 110 minutes happens to be the running time for two movies I watched just prior to my first viewing of Solo to get into what felt like the right state of mind. Butch Cassidy and the Sundance Kid (1969) and American Graffiti (1973) both clock in at an hour and fifty minutes and contain ingredients that lend themselves to the space pirate’s origin story, to varying degrees. There are lovable outlaws and train heists, youths and their hot rods, but most of all, the films and their characters exhibit a carefree attitude in the face of serious, at times grim circumstances. That is where Solo succeeds. It is a movie whose title character is defined by recklessness and the charisma to compensate for it, and that fundamental underpinning provided an opportunity for a lightweight, energetic cinematic excursion. It also sanctioned considerable leniency as a viewer and fan. The movie has some rough patches to be sure, but all dime westerns, crime capers, and adventure serials do. Like Rogue One and its combat film parallels, Solo is a focused genre exercise with a Star Wars imprint that makes it memorable. That's how this franchise has always and will continue to sustain itself, and it's a model that these spinoff films should be inclined to experiment with. 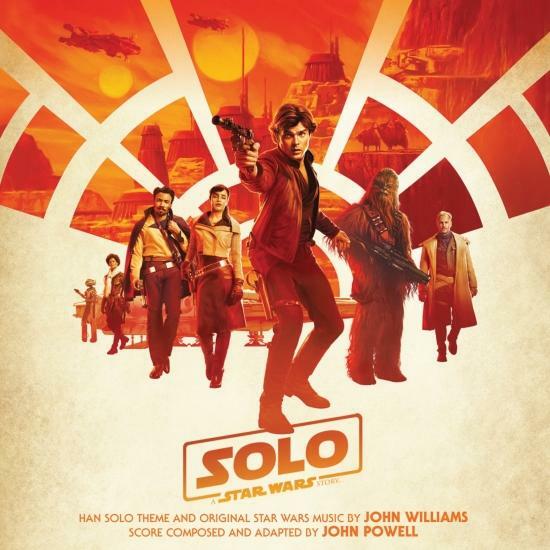 Though the majority of the film's score by John Powell is serviceable and appropriately yields to the fervent (and loud) action taking place onscreen, John Williams' new swashbuckling theme for Han becomes increasingly transcendent with every listen and more than makes up for the otherwise customary music that surrounds it. The Maestro's gift just continues to give. Once again, however, callbacks to his earlier work are hit and miss. "The Asteroid Field" from The Empire Strikes Back was until now one of the few phenomenal pieces of music that remained tied specifically to its original sequence, so to hear it retread in this film's derivative scene alongside other Falcon cues from Star Wars rather than an original high-flying composition was frustrating. One final gripe: can the "TIE Fighter Attack" cue finally be given a rest? Alright...back to "The Adventures of Han" to lift my spirits again. Sacrificing substance for thrills and narrative complexity for predictability is tolerable in a film like this, especially when longstanding Star Wars lore is brought to the screen with such precision and panache. Predetermined iconic marks (Corellia, a stint in the Empire's ranks, the Kessel Run, Sabacc) are satisfyingly rendered and well balanced with new faces and places. Val and L3 were spirited additions despite their limited screen time, and Harrelson's Beckett was a refreshingly natural performance given the tendency for previous big name actors in the current slate of films to go over the top or be distinguished by a contrived quirk. Seeing the Millennium Falcon and Lando Calrissian in their prime were crucial beats and both ship and captain delivered charmingly, especially after being put through the ringer by the end of their first job with a certain smuggling duo. Speaking of which, while the Qi'ra romance struggled to remain convincing, the chemistry between "The Beast" and the Han with No Surname was nothing short of a joy to behold. From one of the most rewarding character meetings of the entire series to the film's promising finale, Ehrenreich and Suotamo made Han and Chewie their own, magnificently adding to the legend established by Ford and Mayhew. Solo's mouthy yet endearing Butch to Chewbacca's hot-tempered, skilled, and soulful Sundance hold the entire film together. That may well be the lesson to be learned here: "Star Wars Stories" can embrace a lack of galaxy-changing, mythic burden and use it to their advantage. Likewise, characters can have unexpected new life breathed into them while inhabiting the semi-schlocky realm of pulp entertainment. Perhaps 110 minutes would have been too brisk and I need to drop the fixation. Regardless, I would be glad to hop back into the Falcon for another escapade with this motley crew, particularly if it involved Lobot and the Sharu.